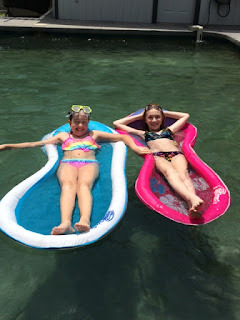 Treetop Sisters: Summer is coming !!!! Well, it would seem that we are into monsoon season around here... and summer fun at the same time. As the girls are growing they have more separate activities so I have become the mom taxi. I am not sure how long this is going to be a fun activity for me !!!! but glad that all the girls have a separate group of friends also. I am becoming a wiz at changing the channel on the radio between radio disney and BBC World news... who would have thunk it. Maybe some decorating this summer!